Our company is based on the principle that education and understanding of your current financial situation is vital to successfully make prudent decisions concerning your future financial condition. 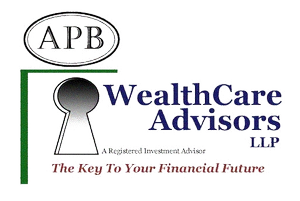 APB WealthCare Advisors, LLP is dedicated to providing high quality service and responsiveness to our clients. Our services are designed to help our clients reach their goals and objectives. Establishing Retirement Plans for your Business’ to our services to help reach your goals.